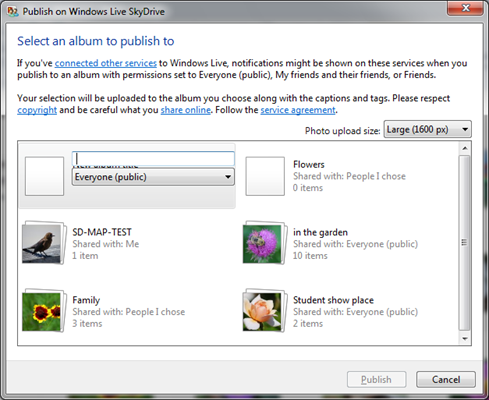 How do I get to SkyDrive? 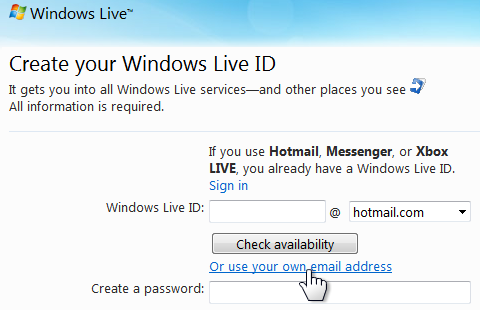 To access your Windows Live SkyDrive log in to live.com with your Windows Live ID. 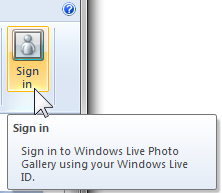 This gets you to your Windows Live Home page. 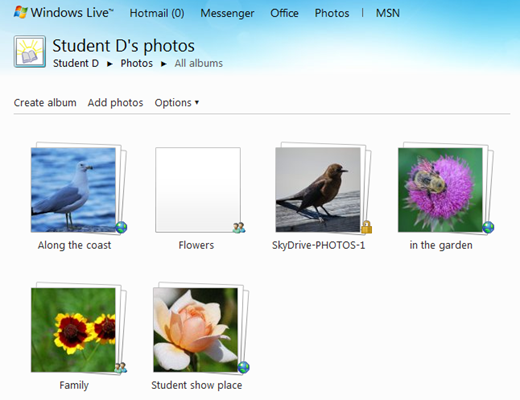 Across the top are links including Office and Photos, these access the documents and albums sections of your SkyDrive. 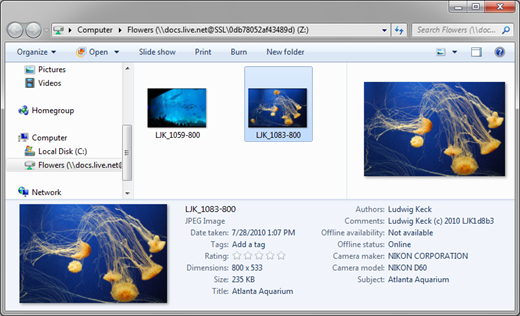 Note that the contents is organized into sections. 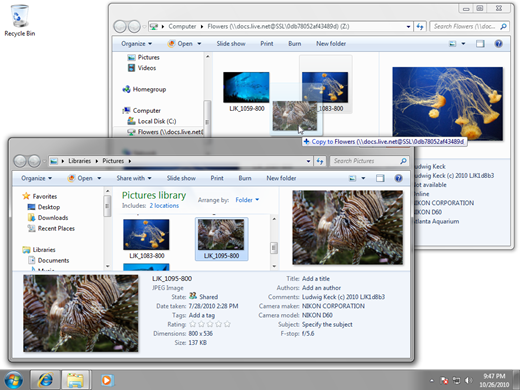 Shown are folders, documents (not filed in any folder), and photo albums. 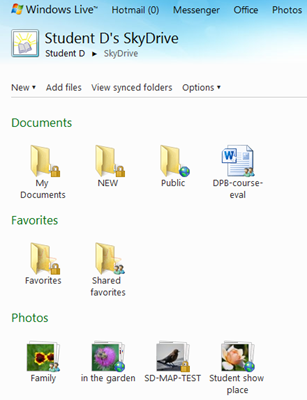 Also note the little symbols in the lower right corner of the icons. 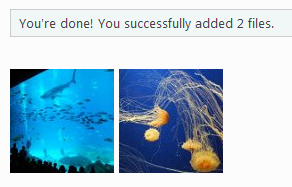 These indicate how that item is shared. 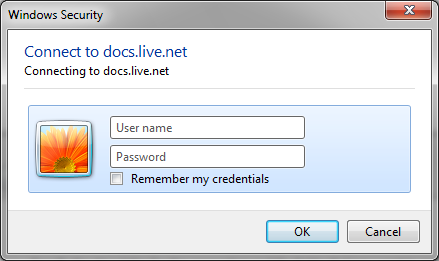 The little padlock indicates a private item – only you have access to that. 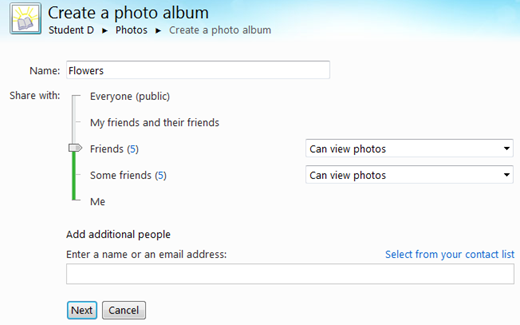 The people symbol shows that the item is shared with one or more other specific users. 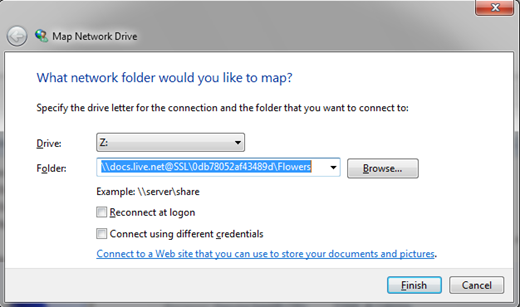 The small globe means that the item is public and accessible to anyone in the world.